“There’s a world of difference between focusing a lens and focusing attention.” — John Paul Caponigro, in “The Power of Abstraction” on Craft and Vision. If your work has never been criticized, it’s unlikely you have any work. Creating work is the point, though, which means that in order to do something that matters, you’re going to be criticized. If your goal is to be universally liked and respected and understood, then, it must mean your goal is to not do something that matters. Hiding, of course, isn’t the point. Hence the paradox. You don’t want to be criticized and you do want to matter. Friendships are made before photographs are taken. — From a video by Joey L on the Metawi tribe in Indonesia. 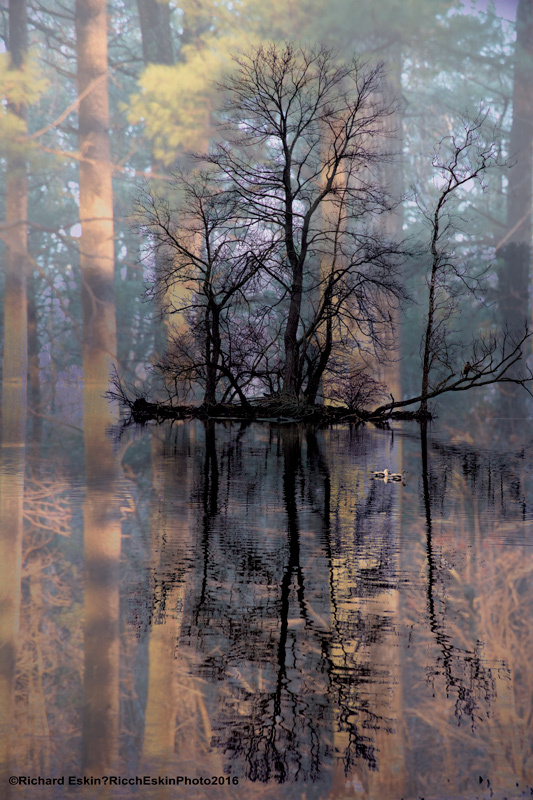 As a nature photographer I sometimes feel a bit stranded here in the populous mid-Atlantic. Yes, there are great areas in West Virginia and Shenandoah, parts of western Maryland aren’t bad, and there are some good areas northeast of Harrisburg. But what if I just have a few hours? I recently found, or re-discovered three areas, all water-related with the help of the Hunt Valley Photography Club, which is really a meet-up, more than a typical camera club. 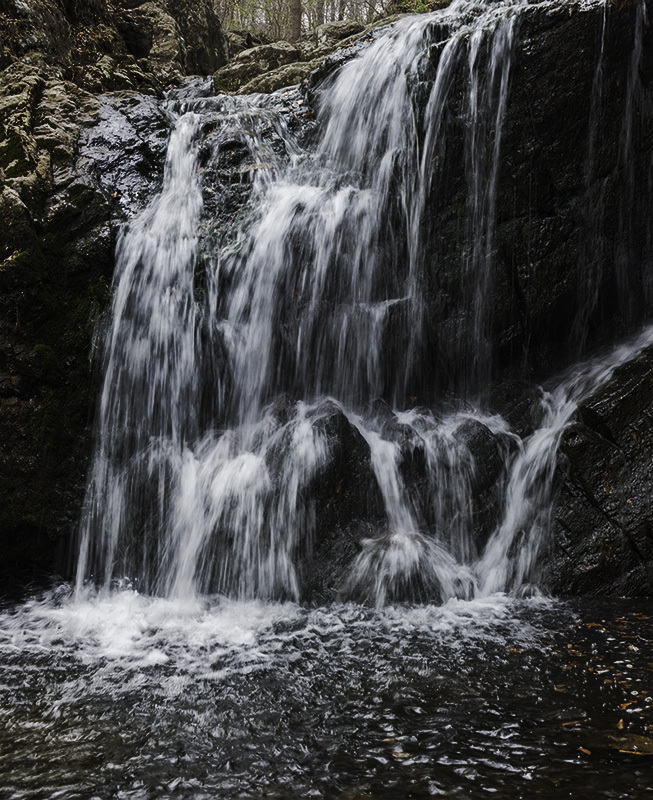 Cascade Falls in Patapsco State Park. 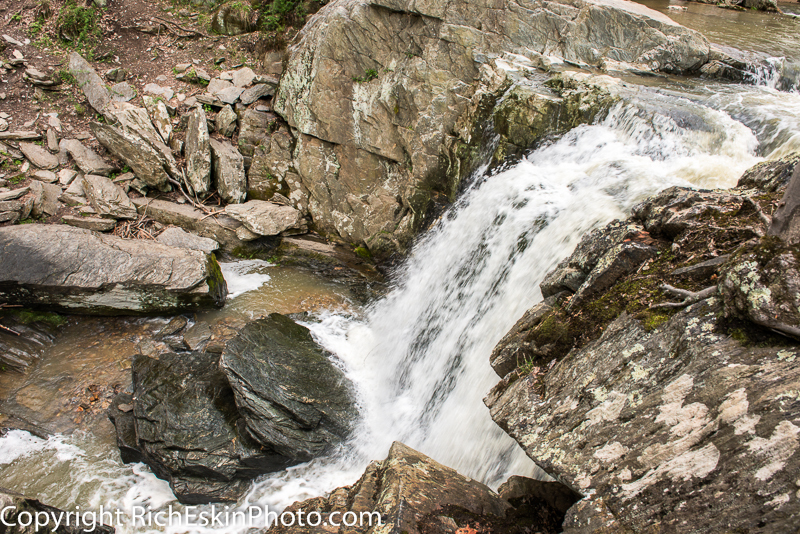 The first one is the small falls in Patapsco State Park on the Cascade Falls Trail. I had been there before, but was having trouble finding it again. Take I-95S from I-695 to I-195 E to Route 1 (the first exit off of I-195). Normally you could go a very short distance to turn right South St. and bear left onto River Road, but that exit is currently closed for construction, so continue south on Route 1 (Washington Ave.) to the next light at Levering Ave., make a right at the light and bear right to continue onto River Road, which is currently unpaved or partly paved. Go past the first playground on your right and continue about 2 miles to the building on your left the bridge on your right and a parking lot just past the building. The trailhead is between the building and the parking lot or an alternate trailhead at the far end of the parking lot. From either trailhead go to your left. In just about 100 yards you can see some cascades across the valley. Continue another 100 yards to the falls. The trail continues left around the falls. The coordinates for the parking lot are: N 39° 14.478′ W 076° 45.034′. Kilgore Falls. This falls is located in the Falling Branch Road part of Rocks State Park, and is NOT shown on map 3 of my 1992 version of the Harford County ADC map, but is off Clermont Mill Rd on Falling Branch Road, southwest of the itnersecton of Rocks Rd. (Route 24) and Harkins Rd (Route 136). You can find more information at Falling Branch Trail to Kilgore Falls, the Maryland Geological Survey and Harford County. The hike begins from the parking lot at N 39° 41.403″ W 076° 25.365″. At the trail fork, if you go left, you can cross the stream at some steppingstones to reach the other side and get to the base of the falls. I went after a strong rain, and the stream was a bit too high to safely cross. If you go to the right at the trail fork, it takes you to the top of the falls, where this picture was taken. You can cross here too, and it is narrower a single mid-stream hop, but the flow is also greater. The address is 1050 Falling Branch Rd., Pylesville, MD 21132 according to my Garmin GPS. Peerce’s Cove. 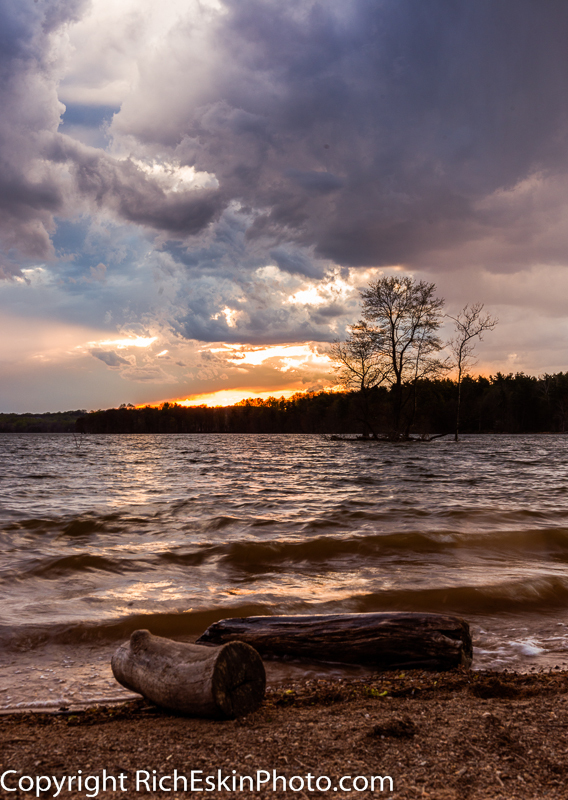 This area is a sandy beach area on Loch Raven reservoir facing west across the lake. To get there, take the beltway to exit 27 north (Dulaney Valley Road). After a few miles, you will go over the reservoir bridge and approach the traffic light…at the light you will stay to the right on Dulaney Valley Road. After that split, you will drive for maybe a mile or so until you pass Peerce’s Plantation restaurant on your left. Once you pass the restaurant, stay to your right when the road splits…the road then becomes Loch Raven Drive. After another mile or so on Loch Raven drive you will see Morgan Mill Road on your left, the cove will be on your right about 0.2 – 0.3 miles further. You can park your car on the street right by the cove. If you reach the bridge, which is a few hundred yards past the cove, you’ve gone too far. There is also parking on Morgan Mill Rd., right off Loch Raven Drive.